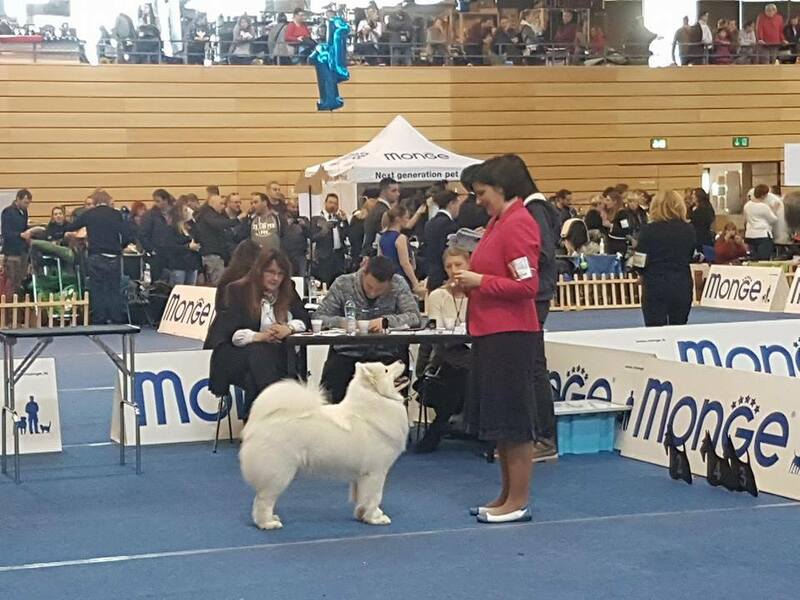 Anatina Eya Eskimo Smile (owned by Veronika Skedelj) – 2x CAC – Kvarner Winner, 1x CACIB & BOS, 1x RCACIB. S tem je Eya izpolnila pogoje za naziv Hrvaškega prvaka v lepoti. V enem tednu je tako izpolnila pogoje za prvaštvi dveh držav. Ponosna nanjo! 🙂 / Eya fullfilled the necessary conditions for Croatian Champion title. Within a week she closed two National Champion titles! Proud of her! We are extremely proud of our Rudi (Ch. Anatina Duran Duran) crowning his show career in veteran age with Veteran World Winner title at the World Dog Show in Amsterdam!